We perform regular smog checks that are required on your Vehicle Registration Renewal including those directed to a Test-Only Station. We smog all vehicles including cars, diesels, vans, motorhomes and exotic automobiles. 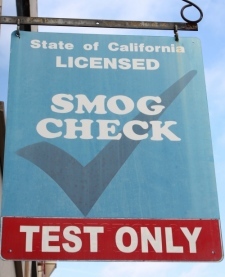 FIC Smog is a star directed shop licensed by the State of California to perform emissions testing for vehicles that are required to go to a “Test-Only” Facility. Print this coupon to receive $10.00 off your initial smog test. Coupon must be printed and presented at time of service to be valid. Even dogs like clean air!